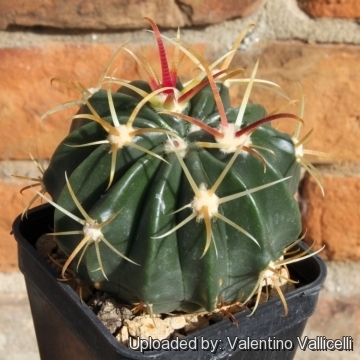 Description: Ferocactus corniger and Ferocactus latispinus are synonyms although the wide variety of features in the same species makes it possible to find plants with certain superficial dissimilarities. 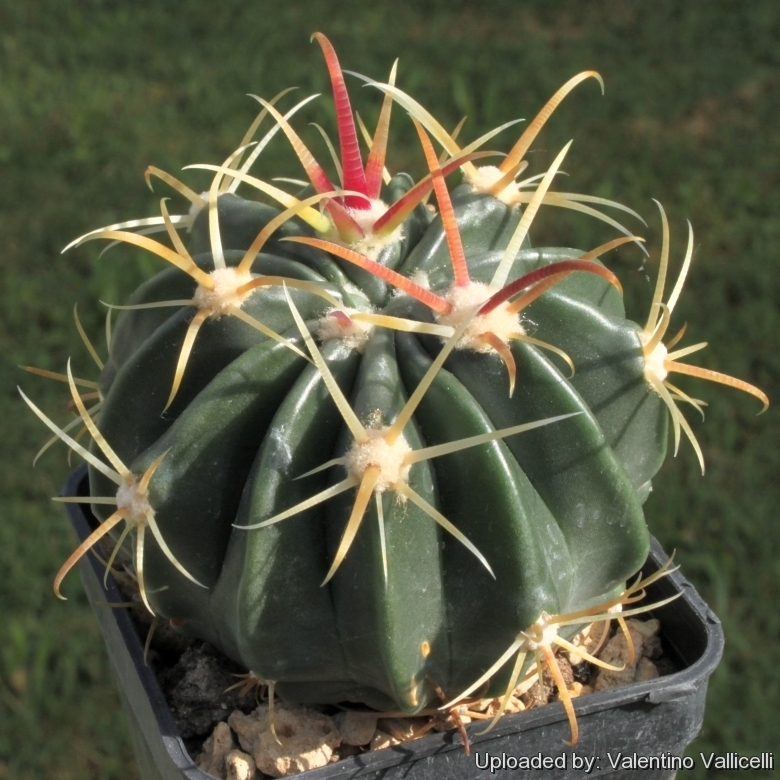 Ferocactus corniger has very broad flat central spines that - with their prominent red colouring - have earned this plant the name of Devil's Tongue. 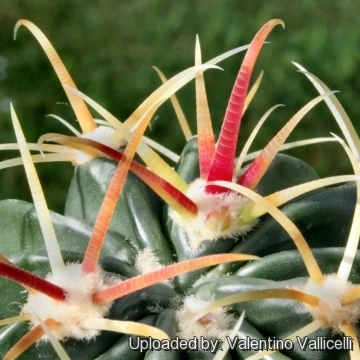 Stem: It is globular and solitary attaining a height of about 30 cm in cultivation, although wild specimens may be considerably larger. The plant bodies is greyish to olive green in colour. Ribs: About eight or so when young and more, up to twenty in number, as the plant grows older, quite prominent and with deep folds between them with the edges ending in a sharp ridge. Areoles: Deeply recessed into notches at intervals of about 2,5 cm.